Acquire the ability to train by instinct like every great physique champion. One of the most important and least understood training principles in bodybuilding is instinctive training. Regardless of how much good instruction and sound advice the bodybuilder receives, there comes a time when he must learn to think for himself. He must instinctively realize that certain training procedures and exercises work better than others for him. 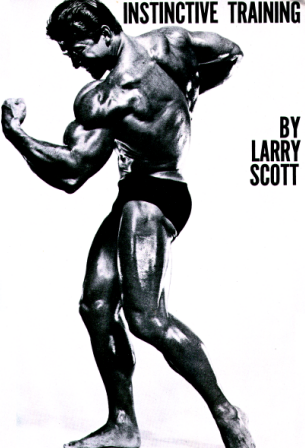 Includes training peculiarities, physique show conversations, experimental bodubuilding, exercise evaluation, quality training, roadblocks to progress and Larry Scott’s training methods. are really sloppy both at the bottom and the top.